The Economic and Financial Crimes Commission, EFCC, on Monday, November 19, 2018, opened its case against a former governor of Ekiti State, Ayodele Fayose, who is being prosecuted for an alleged N2.2bn fraud, before Justice Mojisola Olatoregun of the Federal High Court sitting in Ikoyi, Lagos. 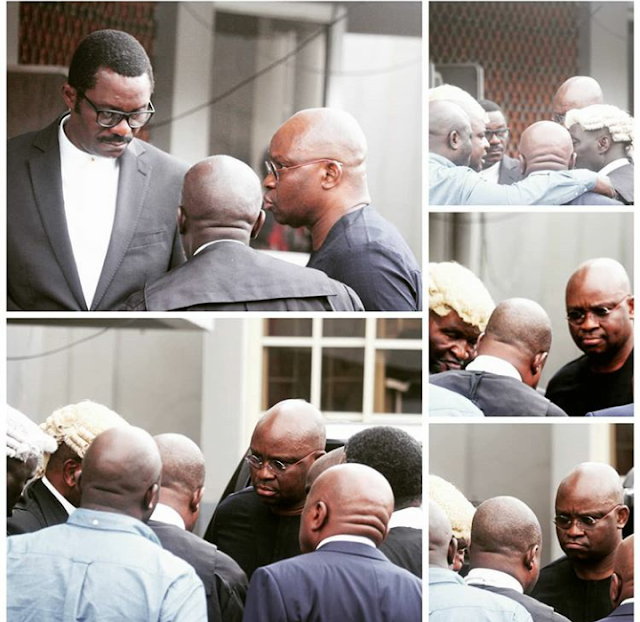 Fayose was arraigned alongside his company, Spotless Investment Limited, on October 22, 2018 on an 11-count charge bordering on fraud and money laundering to the tune of N2.2bn. The former governor is facing trial in connection with N1.299bn and $5.3m out of the N4.65bn slush funds allegedly shared by the Office of the National Security Adviser, NSA, through a former Minister of State for Defence, Musiliu Obanikoro. Fayose pleaded not guilty to the charges preferred against him and was granted bail in the sum of N50m with one surety in like sum. The Judge had adjourned to Monday, November 19, 2018 for the commencement of trial. . In the course of the sitting, a prosecution witness, Lawrence Akande, told the court that one Abiodun Agbele informed him sometime in June 2014 that he had about N1.2 billion cash lodgement to make in Akure,Ondo State. Akande, an employee of Zenith Bank Plc in charge of South West comprising Ogun, Oyo and Osun States, further told the court that he subsequently received a call from the first defendant in respect of the same issue earlier discussed with him by Agbele. .
"Since the lodgement was in Akure, I had to call my colleague there to follow up on it. This is all I know about it, " he added. . When asked if he knew about the company, Spotless Investment Limited, Akande, who was led in evidence by the prosecution counsel, Rotimi Jacobs, SAN, stated that it was one of his bank's customers at the Dugbe branch. When he was shown the account opening document of Spotless Nigeria Limited, De Privateer Limited and Still Earth Limited as well as account document of the first defendant, the witness confirmed the documents.